A dossier, nailing the culpability of Pakistan in the terror attack in Pulwama, will be given to the FATF, an international terror financing watchdog, to expose the neighbouring country's links with terrorism and seeking its blacklisting, officials said Saturday. Security agencies are preparing the dossier with the evidence gathered so far related to the attack carried out by Pakistan-based Jaish-e-Mohammad and the help being provided to the outfit by the country, they said. This will be a dossier on Pakistani agencies' links with the JeM and how the terror group is being aided by them, a security official said. The details of the terror attacks carried out by the JeM in the past will be mentioned in the document. The Paris-headquartered Financial Action Task Force (FATF) will also be told through the dossier how the Pakistani agencies are providing funds to the JeM, the official said. In the next meeting of the FATF, India will also press for the blacklisting of Pakistan so that that action can be taken against the country, another official said. The FATF plenary and working group meetings will be held in Paris next week. The FATF blacklist means the country concerned is "non-cooperative" in the global fight against money laundering and terrorist financing. If the FATF blacklists Pakistan, it may lead to downgrading of the country by multilateral lenders like IMF, World Bank, ADB, EU and also a reduction in risk rating by Moodys, S&P and Fitch. Pakistan has been put on the grey list of the anti-terror finance watchdog in July 2018. The FATF currently has 35 members and two regional organisations European Commission and Gulf Cooperation Council. North Korea and Iran are in the FATF blacklist. 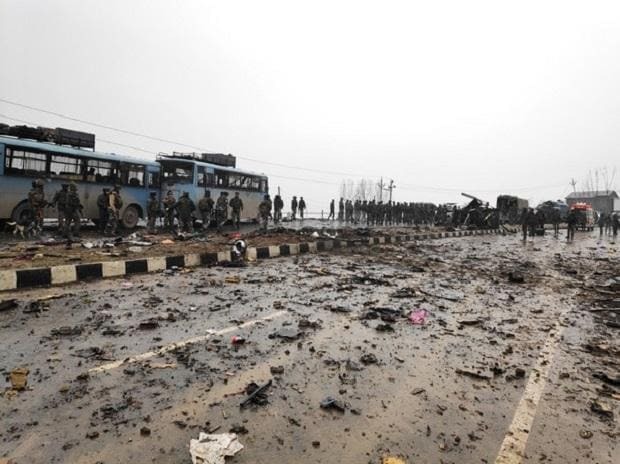 Forty CRPF personnel were killed and five injured on Thursday in one of the deadliest terror attacks in Jammu and Kashmir when a Jaish-e-Mohammad suicide bomber rammed a vehicle carrying explosives into their bus in Pulwama district. Prime Minister Narendra Modi on Friday said those responsible for the attack will pay "a very heavy price" and security forces will be given a free hand to deal with the terrorists. In a hard-hitting speech, Modi said the "blood of the people is boiling" and forces behind the act of terrorism will be definitely punished".